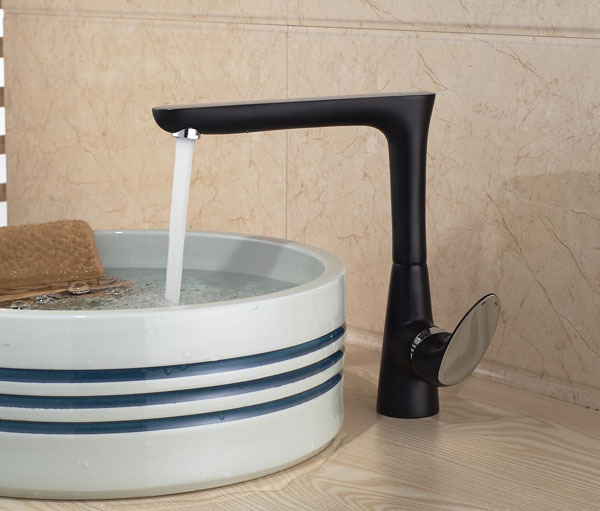 Grosseto Bathroom Basin Faucet comes in Black Color with Brass Body Material along with two Water Hoses for Hot & Cold Water. I really hated that I had to wait for two weeks for this thing to arrive. I kept calling them and asking for an update about my order and all they could tell me was that it was on it's way. I was on the verge of cancelling my order truth be told. As for the product, it was good and was as expected. I hope they do something about their shipping because it's really frustrating. The design and finish are the two major reasons why I opted for this one. The design looks simple, yet I personally think that it's very stylish and contemporary. That's exactly what I wanted for the bathroom. The finish looks nice and makes a nice contrast with the counter and backsplash. All in all a good looking product. 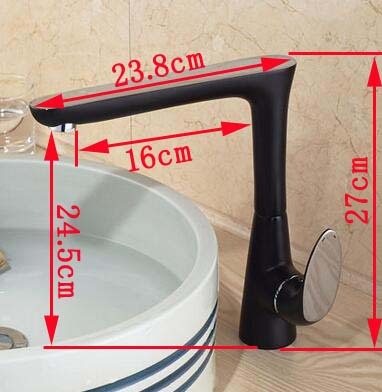 This one's definitely a good faucet. I've had mine for about two weeks now and so far I'm well-pleased with how it functions. The price seemed reasonable enough, though I'd be a lot happier if they lowered it just a little bit more. If you're looking for something fancy though, I suggest looking at the other faucets here in the site. This faucet's good, but not very stylish the way I see it. This looked a lot simpler than the other faucets that I saw here in the site which were pretty fancy with all their details and decorations, but I liked this one because of the lack of those things. It looked great as simple as it was, and the dark finish gave it a rather sophisticated and elegant look. I've had this for several weeks now and so far it's been working perfectly. 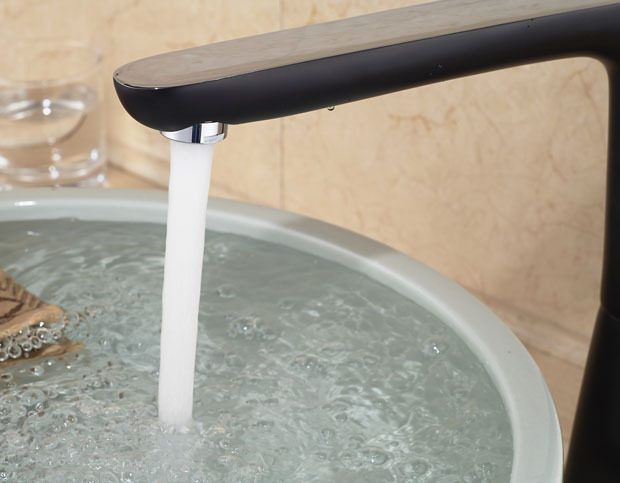 There were a lot of things that I liked in this faucet, which is actually why I bought them. Anyways, first off, I really like the tall and seemingly simple design. It's nothing fancy as you would expect from an all-out luxury bathroom fixture, but it is beautiful. 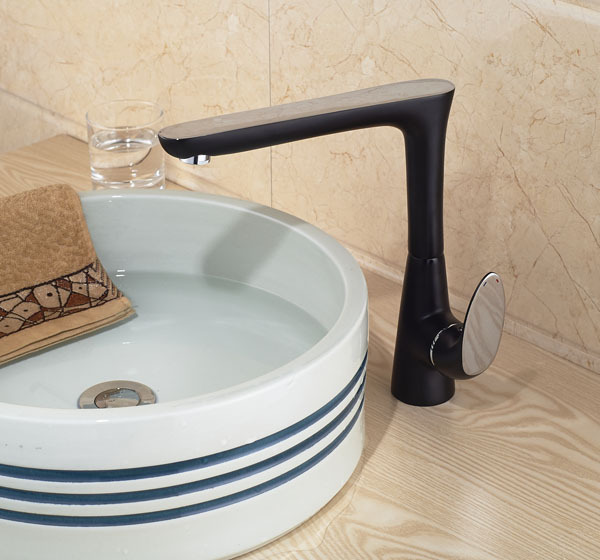 The black finish also looks great, and it actually gives the faucet an air of sophistication and elegance. Definitely something worth recommending.